After 25 years as a child and family psychotherapist, I’ve dealt with numerous real-life clients who have experienced problems related to family breakups. Here are some ground rules for how parents who are divorcing or already divorced should conduct themselves in their discussions with their children about the divorce process. Each ground rule was formulated by me in response to actual family situations that my clients were struggling with. DO’s – These suggestions will help ease your children’s transition. • Do ask your children on occasion if they feel to blame for the breakup – many do. • Do encourage them to move ahead with their lives as they were, as much as possible. • Do formulate a co-parenting plan with your ex, with house rules as similar as possible. • If they bad-mouth your ex, do discuss this with them and help them resolve the problem, without adding your opinion. • Do look for signs or symptoms of sadness, anxiety, depression, or self-blame. • Do ask their teachers and friends how they are faring. • Do offer them healthy, constructive distractions. • Do continue to present a unified parenting front to your child. • Do tell them that it’s OK with you that they still love your ex. • Do encourage them to continue their relationship with your ex and, if necessary, insist that they have contact. • Do remember that younger children act out their anxiety, versus verbalizing it. DON’Ts – Avoid doing things that will make your children’s new life even more difficult and confusing. • Don’t say or do things that put your children in the middle between you and your ex. • Don’t make them a communication conduit between you and your ex. Doing that can create many different problems. • Don’t make them into your confidante or support system – they’re not equipped. • Don’t have your child spy on your ex and don’t interrogate them when they return from visits. • Don’t “parentify” your child or ask them to take care of you. • Don’t verbally bash your ex to your children. If you poison them against your ex, that will come back and haunt you when they’re grown and figure out the truth. • Don’t blame your children for the breakup, even in the unlikely event that it may be partially true. • Don’t try to convince them of whose fault it is that the relationship failed. • Don’t inform them of adult-appropriate issues that are managed by you or your ex – i.e., money, rules, discipline, etc. • Don’t give them intimate details of what led to the marital breakup – they’re not equipped. • Don’t use your children as weapons, spies, or pawns against your ex. • Don’t let your children know about parenting strategy differences you have with your ex. They may use that to manipulate or triangulate. • Don’t relax your house rules or your discipline, especially out of guilt. • If your ex has a habit of not showing up, don’t tell the children your ex is coming to visit them. If your ex doesn’t arrive, they won’t be disappointed but if your ex does, it’ll be a nice surprise. • Don’t try to stifle or argue with their statements of love for or connection to your ex. • Don’t give them the impression that they have to choose between you and your ex. • Don’t discourage or cancel their visits with your ex, unless absolutely necessary. • Don’t fight or argue with your ex during visit drop-offs or pickups – be civil for the children’s sake. • Don’t let your children hold you hostage by repeatedly saying they want to live with your ex. Don’t respond. • Don’t buy your children guilt gifts or allow them to manipulate or guilt-trip you. I’m in the process of retiring after 25 years as a child/family psychotherapist. I’ve worked in institutional care, at county human services as a social work supervisor and a contractor, in a family medicine residency program/clinic, and in private practice. Through most of my career, I’ve treated court-ordered children/families, blended families, and other clients through their health insurance benefits. 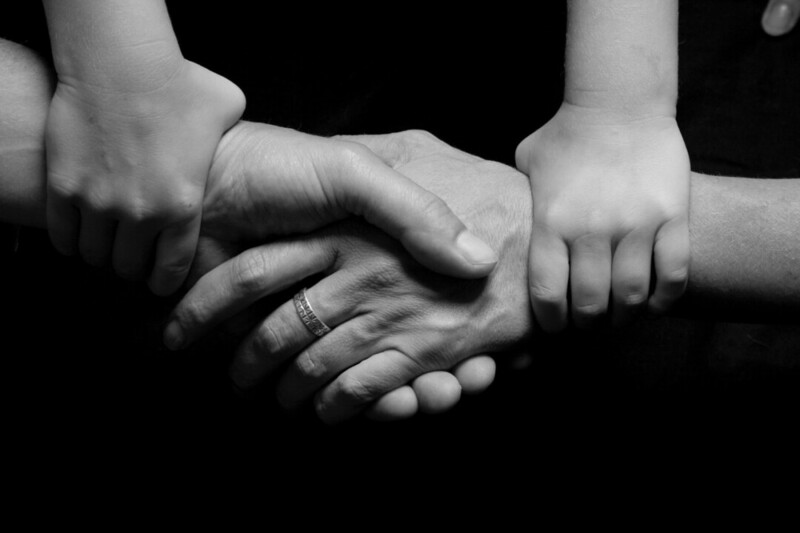 I specialized in at-risk children and their families, and have provided in-home family therapy for many years. I am currently also a course developer and adjunct instructor for Columbia College in Missouri, where I teach online undergraduate courses in family therapy and mental health. Over time, I’ve amassed useful information that I want to share with Chippewa Valley Family readers. The information centers primarily on children, families, and mental health. I also hope to answer reader questions with “non-therapeutic” advice/answers, and recommend resources such as local services and programs, self-help books, websites, etc. I would like to invite readers to submit questions to me and also to offer ideas on what things they would like to see in this column. Submit your questions/ideas to editor@ChippewaValleyFamily.org.